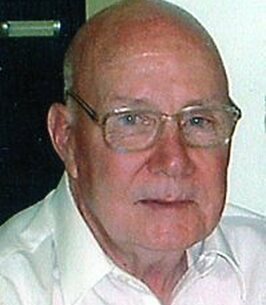 Donald Shaw Service Details - East Liverpool, Ohio | Dawson Funeral Home, Inc.
WELLSVILLE – Donald R. Shaw, of Wellsville, passed away Sunday morning, November 18, 2018, at his home. He was 85. Born in East Liverpool, May 27, 1933, he was a son of the late John R. and Opal Anthony Shaw. A member of the Living Well Church in Wellsville, he worked at the former International Mill Service for 15 years. Don also painted houses for many years but his passion was his faith in the Lord which led him to evangelism in several area churches. He also possessed a great sense of humor and was affectionately known as the “Pastor of Walmart”. He was preceded in death by his first wife, Mary Ann Vincent Shaw. He was also preceded in death by two brothers, Keith Shaw and Lloyd Shaw and two sisters, Bernice “Betty” Jenkins and Janet Gamble. He is survived by his wife, Barbara Green Shaw, whom he married May 27, 2006. He also leaves two daughters, April Lynn Skidmore and her husband, Jeff, of East Liverpool and Linda Buckel and her husband, Gary, of East Liverpool, as well as a son, Donald Mark Shaw of Wellsville. There are three step-daughters, Cindy Wright and her husband, Virgil, of Canton, Barbara Amendola of Canton, and Terri Martin and her husband, Gary, of Bradenton, Florida, and a step-son, Dan Buckel and his wife, Karen, of North Canton. He also is survived by six grandchildren, 11 great-grandchildren, 11 step-grandchildren and 17 step-great-grandchildren. Friends may visit Tuesday evening at the Dawson Funeral Home where the family will be present from 5 to 8 p.m. Pastor Dirk Hall will conduct a funeral service Wednesday at 11:00 a.m. at the funeral home where friends may also visit one hour prior to the service. Following the service, family and friends will gather at the Living Well Church for fellowship. Memorial tributes may take the form of contributions in care of the Living Well Church, 1620 Maple Avenue, Wellsville, Ohio 43968. To send flowers to the family of Donald R. Shaw, please visit our Heartfelt Sympathies Store. Mr. Shaw lived across the street a great neighbor and person. At 1 of the lowest point`s of my life he would always tell me I am praying for you. He always took time to listen and always had that big smile on his face. He invited me to his church many times and pointed me towards God. Showed me someone cared. Don is a amazing man and a amazing friend heaven has a great servant, Don earned my respect. I was blessed to have him as a friend, mentor,neighbor.